For the Sega Saturn version, also called Street Racer Extra, see Street Racer (Saturn). 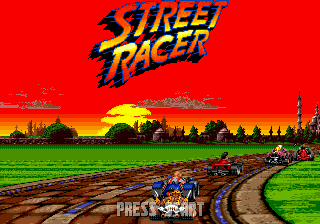 Street Racer is a racing game developed by Vivid Image and published by Ubisoft for numerous consoles and computers including the Sega Mega Drive. The Mega Drive version of the game was not released in Japan or North America, though did make it to Brazil and Europe. Plans for a North American version were put in place (even getting to the stage of having its own box art with ESRB rating), but were cancelled. Sega Game Gear and Sega 32X versions were also in development, but were never released in any region. Similar to Super Mario Kart, Street Racer game allows the user to select one of many cartoon-like characters, racing around a circuit, avoiding obstacles and using special items. Due to various hardware restrictions, gameplay differs among platforms - the Mega Drive version of the game has the player travel along a road in a similar manner to Hang-On or OutRun. It does, however, support more players than its Super NES counterpart - four versus two. Main article: Street Racer/Magazine articles. Main article: Street Racer/Promotional material. Street Racer was intended for release on the 32X shortly after the Mega Drive, however this version was cancelled (possibly in favour of the Saturn version). 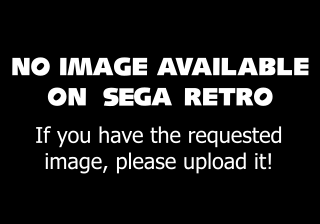 A Game Gear port was also in development for an expected release in November 1995More.... This too was cancelled for reasons unknown.